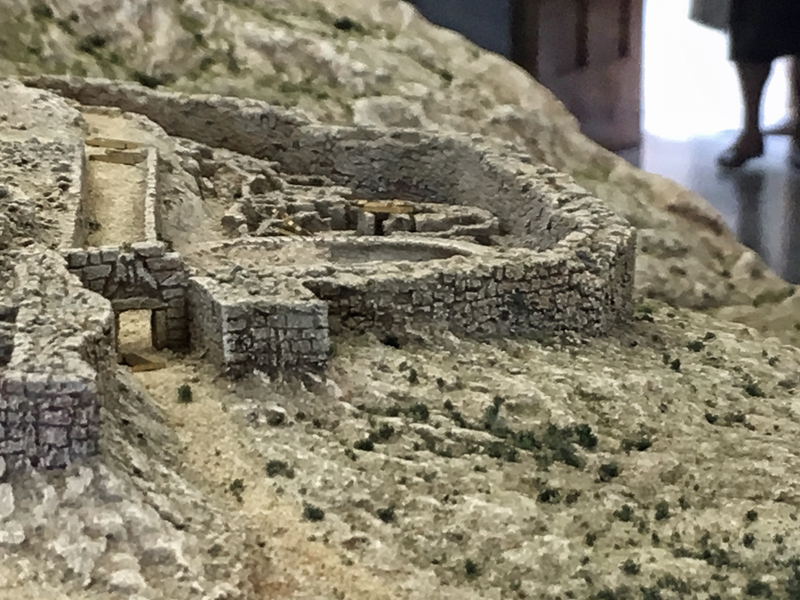 A mini gate in a mini plan of Greek Bronze Age Mycenae, complete with tiny lions. 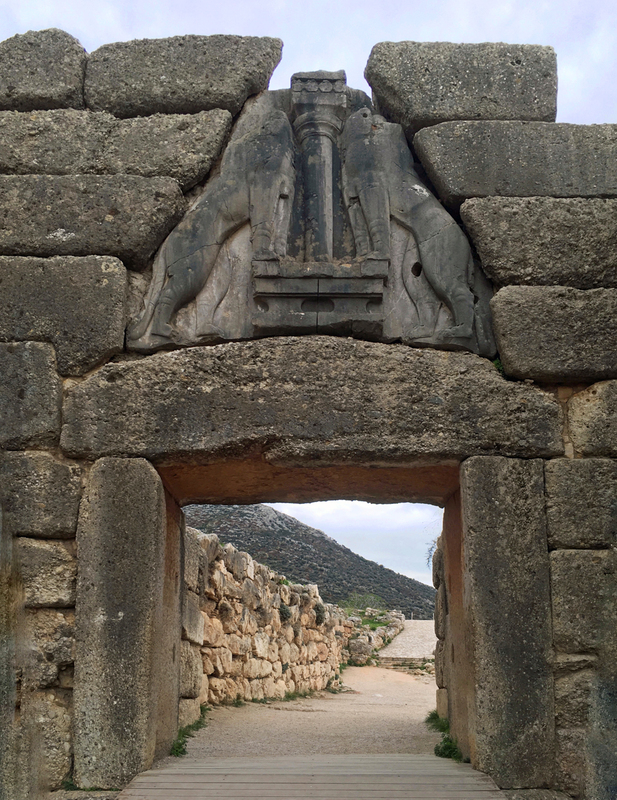 The real deal is considered to be one of the few monumental Mycenaean works of art. Wow that doorway is amazing. It is amazing. I always get a thrill no matter how many times I see it. Luckily November is not peak tourist season, so the place wasn’t swarming and I could capture a rare photo without people!